Automobile Central Enterprise (ACE), the official distributor of Volkswagen vehicles in the country, has formally opened its flagship showroom in Bonifacio Global City. 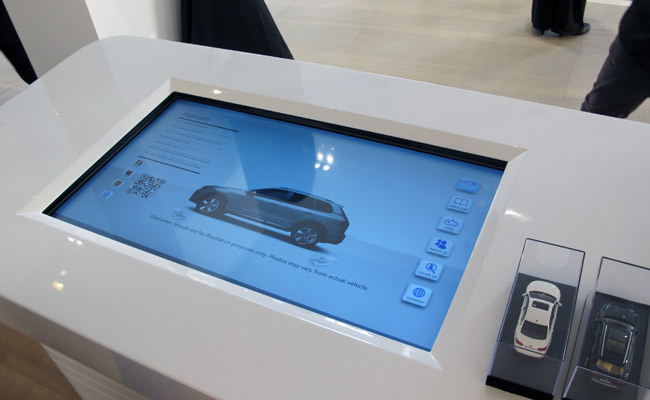 Called Volkswagen BGC, the 6,000sqm, five-story showroom boasts the "Volkswagen Interactive Showroom application," a digital platform developed by Linked Tech Solutions of Hong Kong. The German carmaker's BGC showroom is said to be just the second in the world to have this platform, next only to Volkswagen Hong Kong. Having touch-screen display interface, the V Tablet and the V Table are so easy to use that perhaps even a toddler can use them. Both technologies allow customers to browse the car models, features and specifications; view photo galleries; watch videos; and e-mail brochures and quotations to themselves for future reference. 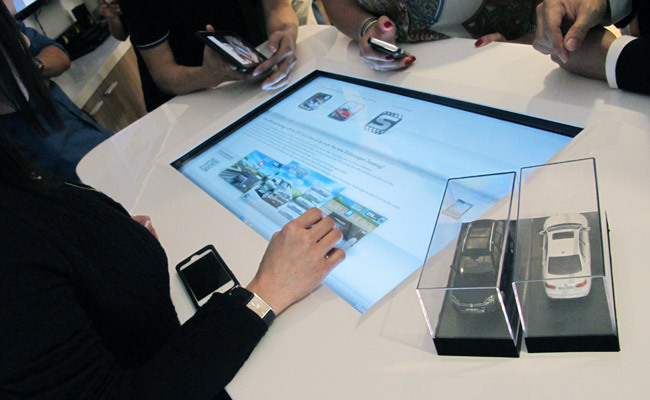 The V Tablet's unique content is Volkswagen's rich history, which is presented in a timeline format. Reservations can be done through these digital tools, as customers can digitally sign transactions. In the future, expect the test drive scheduler as well as financing option functionality on this platform. "These tools are more eco-friendly than traditional brochures and transactions," ACE market research and CRM manager Gie Gilera pointed out. "Volkswagen's tradition has always been synonymous with innovation," said ACE president and CEO John Philip Orbeta in a statement. "We wanted our dealership to also reflect the same principles and ideals that embody the best of what our brand has to offer by powering it with the latest showroom technology available." 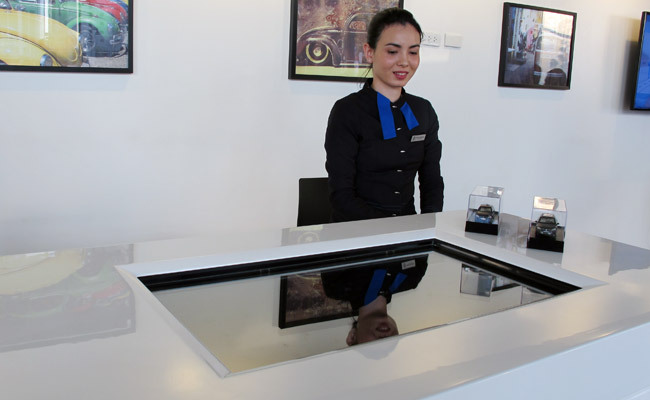 The flagship showroom is capable of showcasing 18 vehicles, and also has lifestyle items for sale. 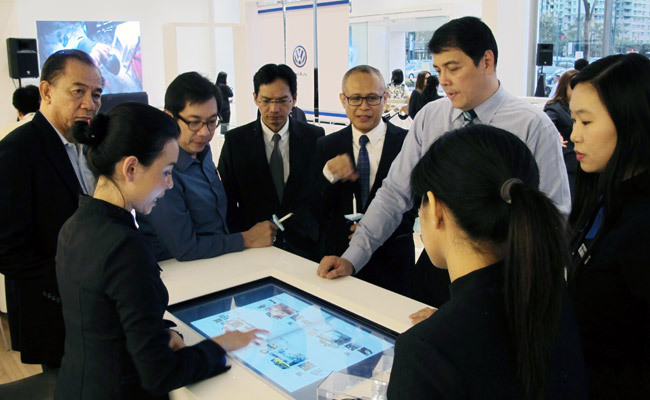 Located at 938 28th Street City Center in Bonifacio Global City in Taguig, Volkswagen BGC is open daily, 8am to 6pm, Mondays to Fridays; 8am to 7pm on Saturdays; and 9am to 6pm on Sundays.